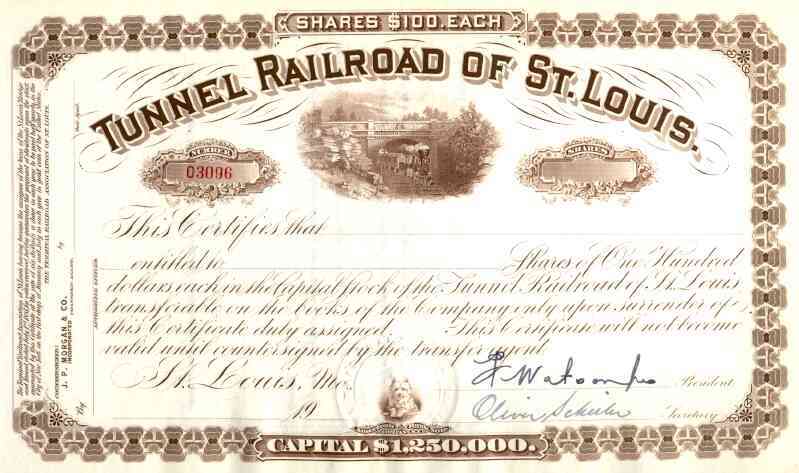 19__ Tunnel Railroad of St Louis Stock Certificate. Attractive railroad scripophily document with vignette of steam locomotive under bridge. Cute dog at bottom. EF condition.